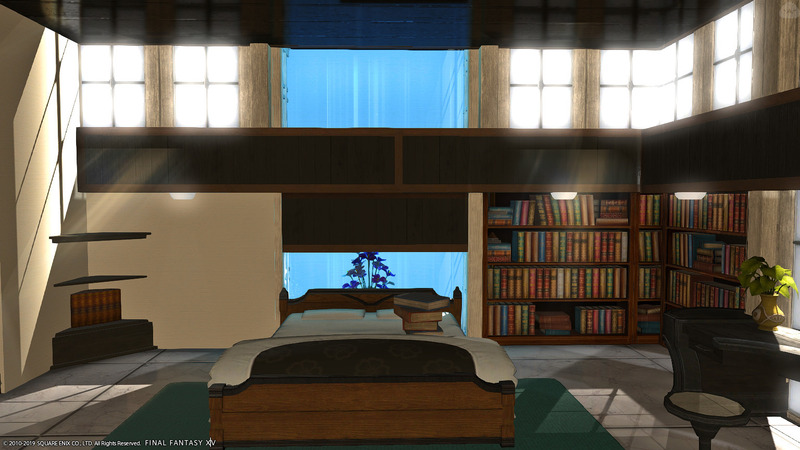 A commission for Adam Nox of Famfrit (Shirogane ward 2 plot 46). 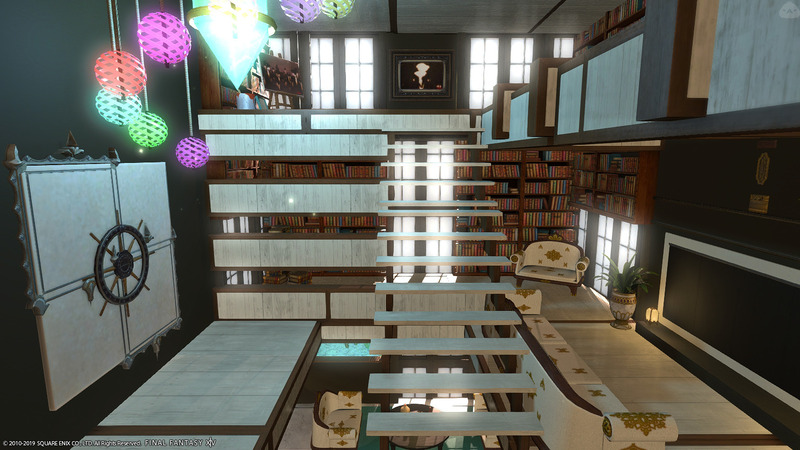 I made a three tier lofted library with lots of seating, a television, and wet bar on the main floor. 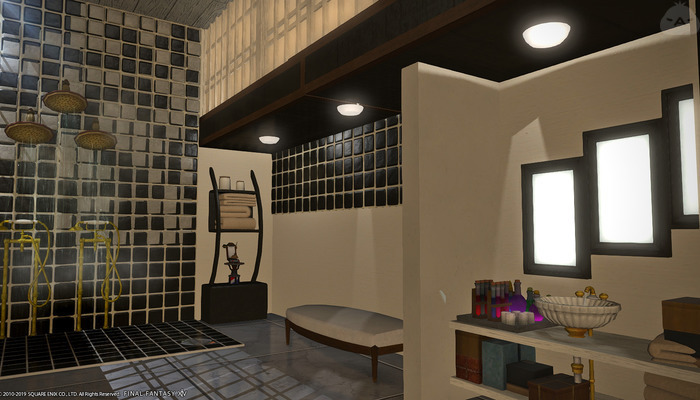 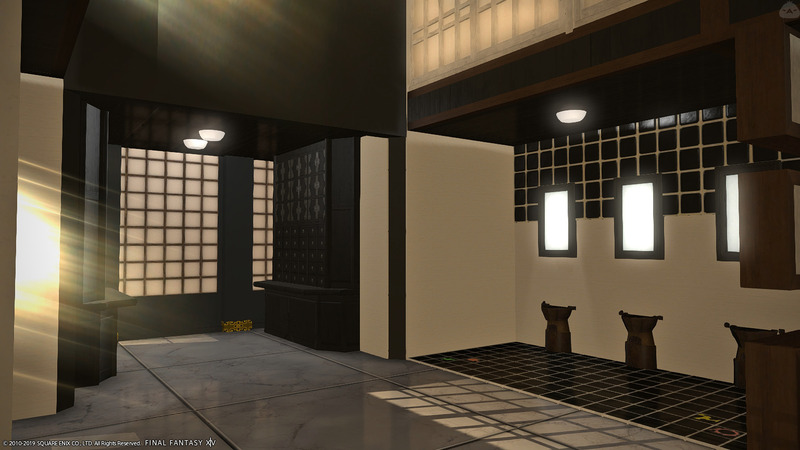 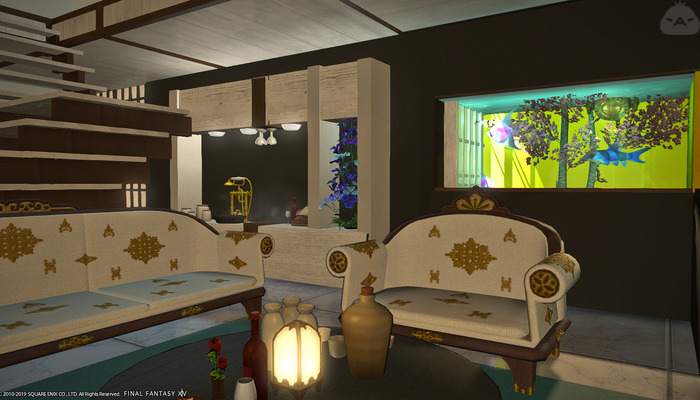 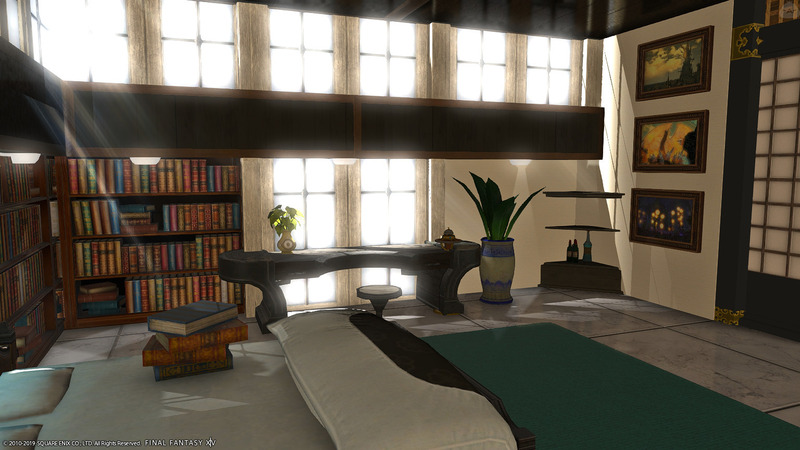 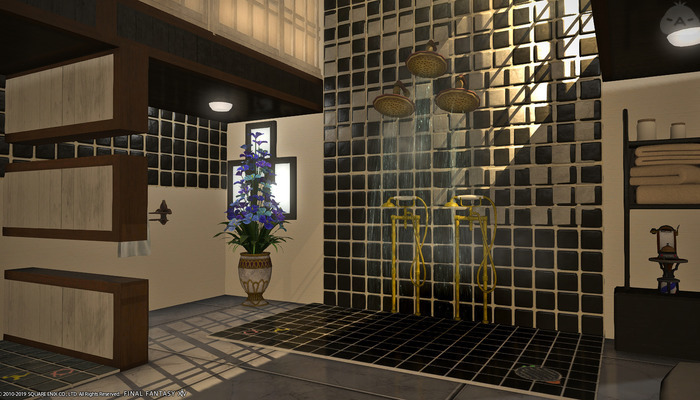 It’s a FC and so I made a master suite with attached communal bathroom, with a large shower head. This was probably the most advanced job I’ve done because the process of making this three tiered loft was exhausting, as it was in the empty space for a large, but I’m happy with the results! 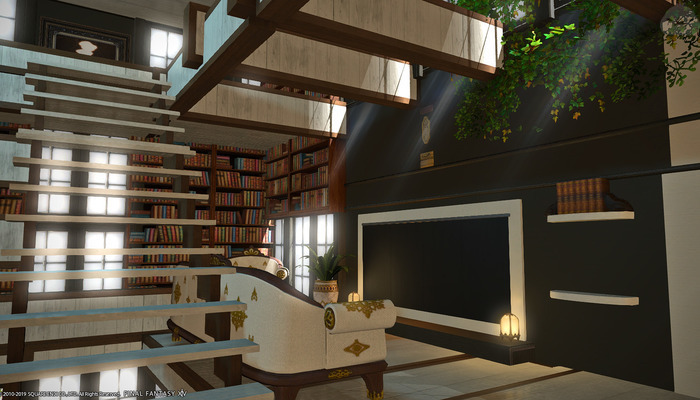 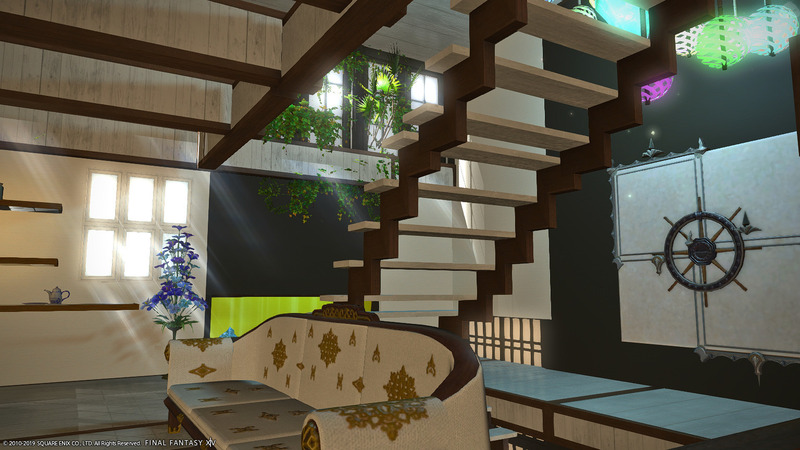 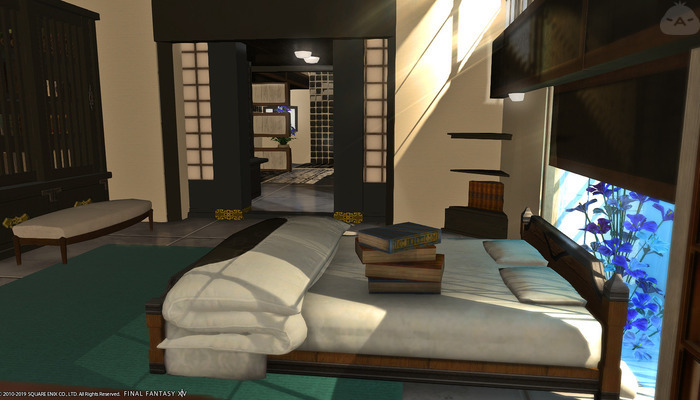 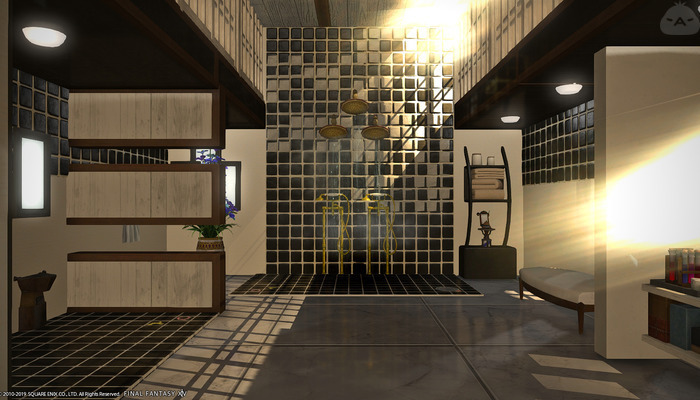 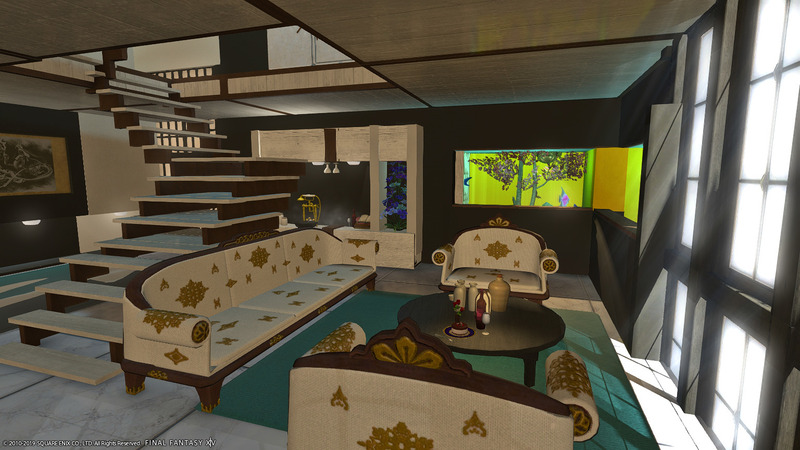 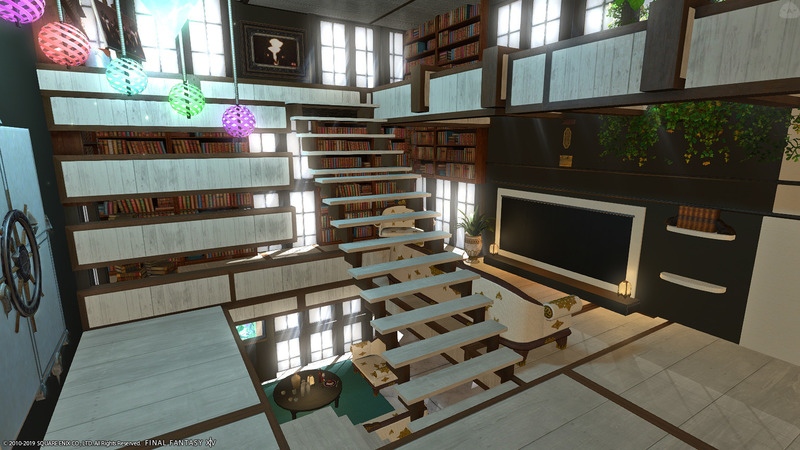 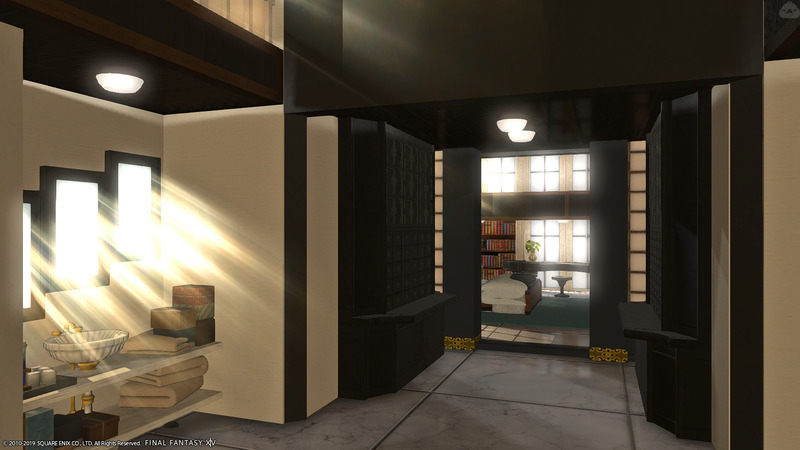 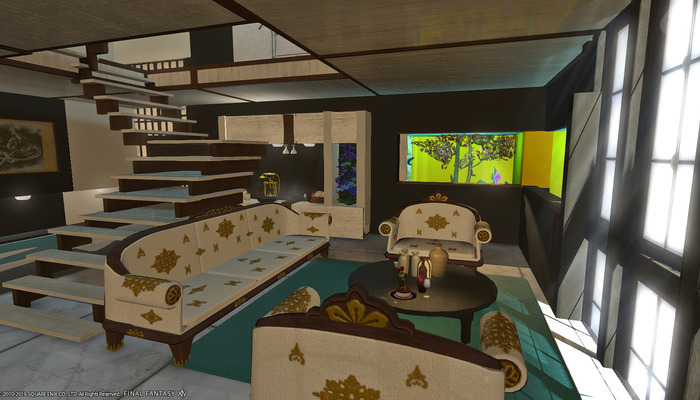 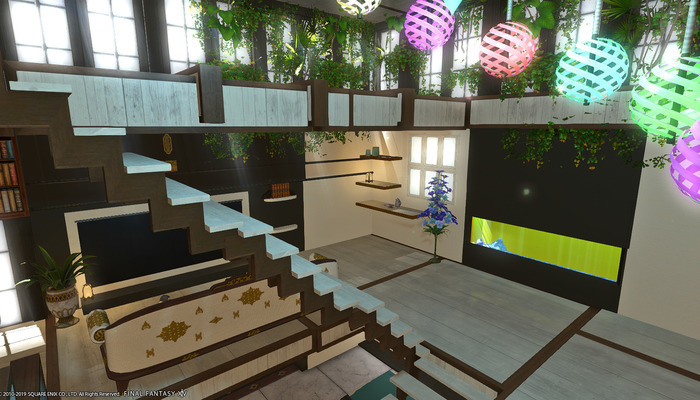 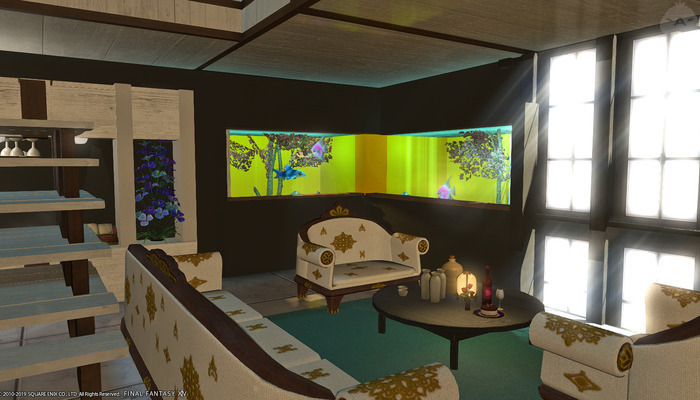 Screenshots of the main loft.